Your pug of the day! Another piece from mine and Eric’s #Pugcentric series. //Christmas Carol hotline: call this number 24/7 and a very real person will sing you a holiday song. //Winning Christmas: the worlds biggest letter to Santa delivers a powerful message. //Yes. ‘Baby It’s Cold Outside’ IS that creepy. 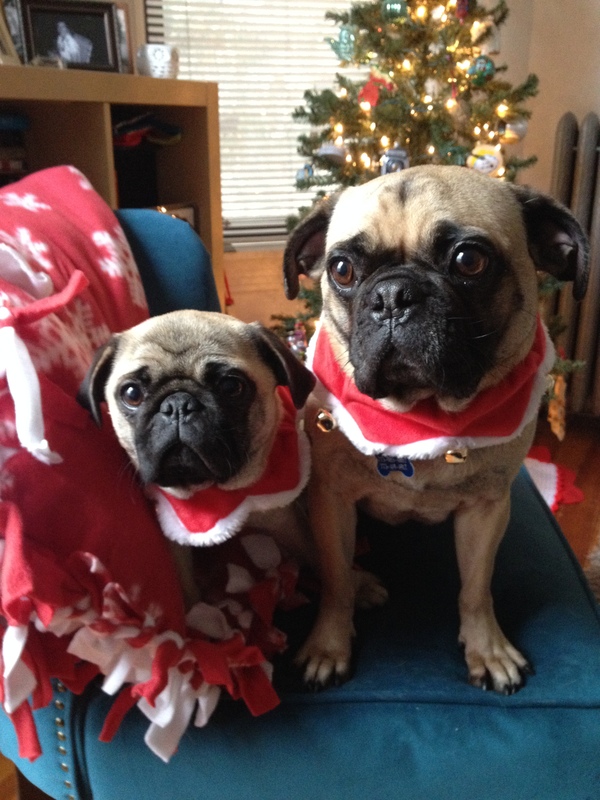 Your pug(s) of the day! Your pug of the day. 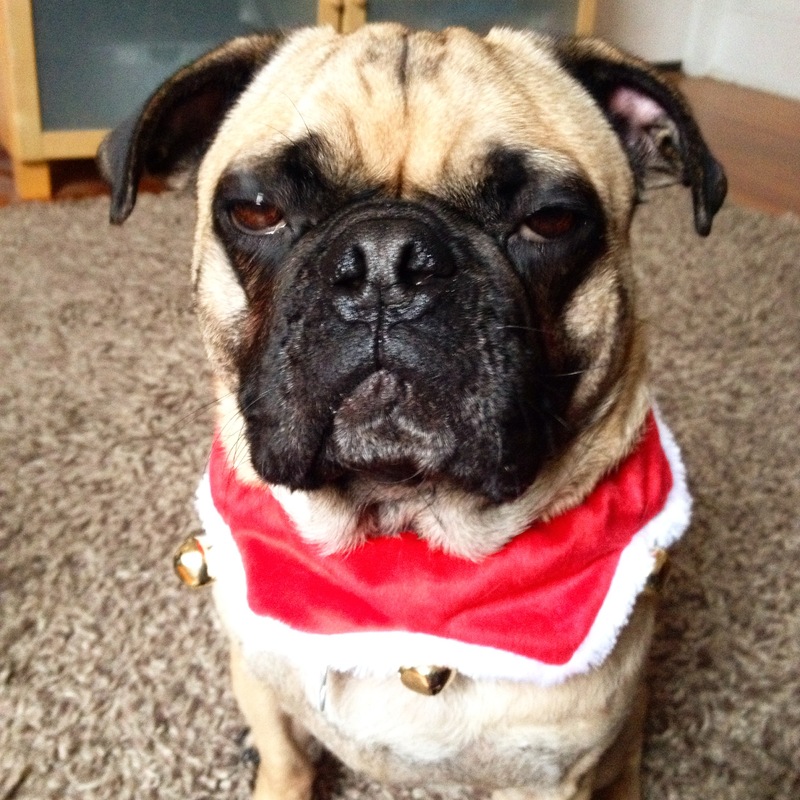 Rupert is clearly feeling the holiday cheer.